Which two Liverpool players make Garth’s Team of the Week? 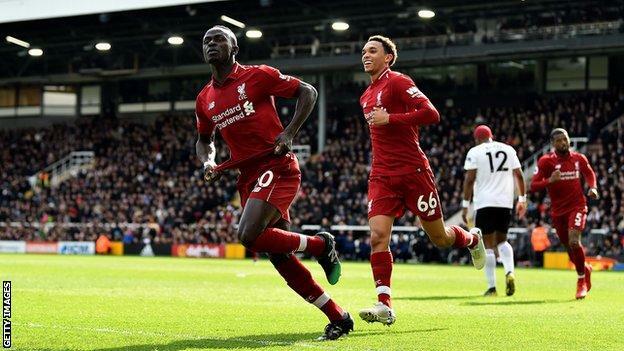 Mane has been Liverpool’s most potent threat over the past two months and from the start his team-mates looked to him to open up Fulham. He took his goal superbly, shifting inside from the left to find Firmino cutting to the byeline before continuing his run on the diagonal to collect the Brazilian’s return pass and fire a first-time strike past the stranded Rico. Mane could end up this year’s Premier League top scorer if this surge continues – this was his ninth goal in as many league games, taking his season tally to 17, level with Salah, Harry Kane and Pierre-Emerick Aubameyang, and one behind Sergio Aguero. The 26-year-old nearly had a second just before Babel’s equaliser, heading a flick-on from a corner onto the top of the crossbar, before putting himself in the right position to beat Rico in winning the penalty. That contribution was even more important given Firmino’s out-of-sorts performance and another quiet day for Salah. 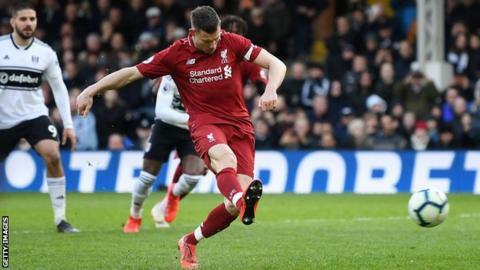 Fulham boss Scott Parker, speaking to BBC Sport: “The back end of the game we came strong and caused Liverpool some problems. It was pleasing, but we have lost [but have] some positives to take from the game. Liverpool boss Jurgen Klopp, speaking to BBC Sport: “It was a bit like we are – we started really well, did a lot of good things and lost the rhythm a little bit. “I’m not the most experienced manager but I’ve had similar problems after Champions League games – the first half is a bit rusty. We could’ve finished it off in the second half but if you don’t kill the game at 1-0 up it’s clear something like that can happen. Fulham have now lost 25 of their last 26 Premier League matches against the ‘big six’ (W0 D1 L25), losing all 11 this season. Sadio Mane has scored nine Premier League goals in 2019 for Liverpool – the joint-most in the competition along with Sergio Aguero. 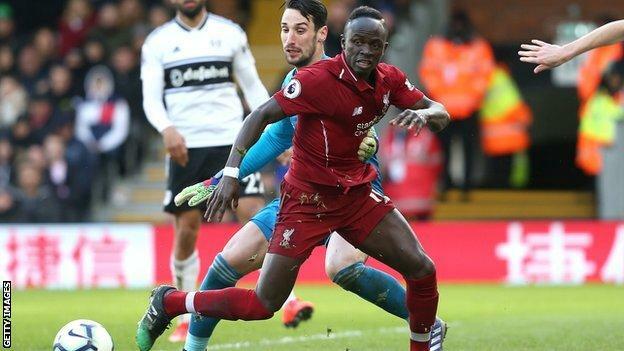 Mane scored his 17th Premier League goal of the season – the most by a Senegalese player in the history of the competition, overtaking Demba Ba’s tally of 16 for Newcastle United in the 2011-12 season.